It took 100 firefighters to bring a fire at New York’s Penn Station under control. Trains had to be delayed because of the incident, which luckily resulted in no injuries. New York subway A and E trains were instructed not to stop at Penn Station due to the fire. 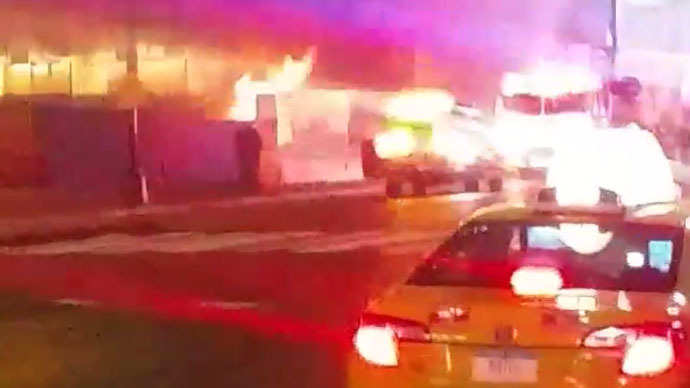 The fire was inside the station, located at West 33rd Street and 8th Avenue in Manhattan, according to the Fire Department. The flames could nevertheless been seen on the ground, as is seen in pictures taken by passers-by. There have been reports that the fire started at a construction site for the Long Island Rail Road (LIRR). Firefighters had to seal off roads around Penn Station, leading to traffic problems in the morning rush hour.